Bothan Slicer design. This girl belongs to nobody but I'm already super fond of her. 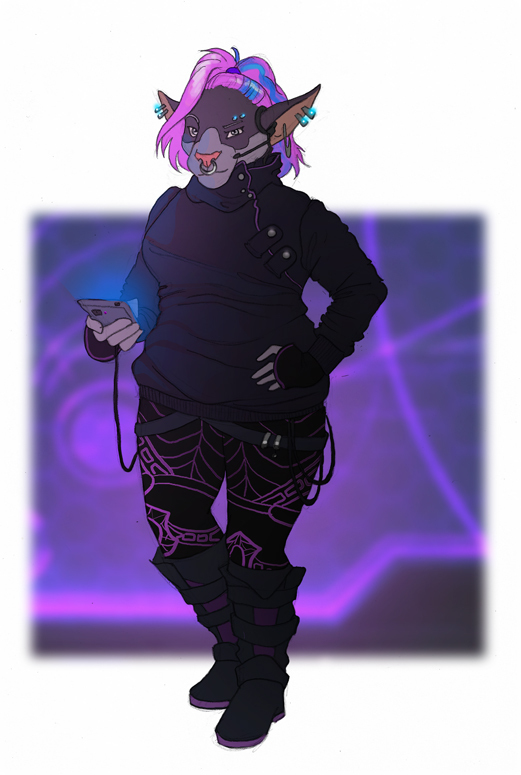 Trying to go for a sorta cyberpunk feel without falling into the 'waiflike dream girl' stereotype.